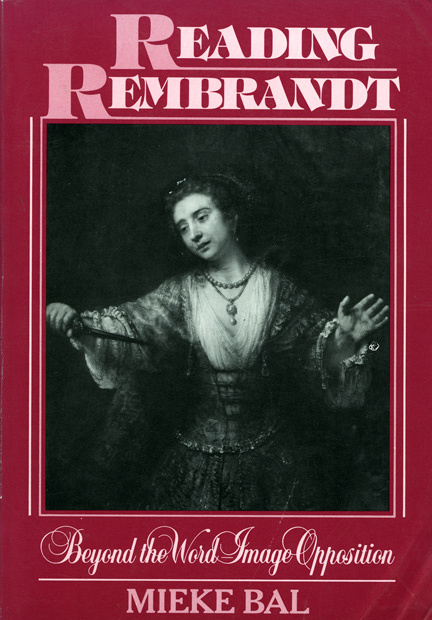 ‘Reading Rembrandt: Beyond the Word-Image Opposition’ explores the potential for an interdisciplinary methodology between literature and visual art. In a series of close analyses of works by Rembrandt - works whose attribution is still challenged, but can still be considered within the context of this study - and texts related to those works, Mieke Bal questions the traditional boundaries between literary and visual analysis. Bal also studies Rembrandt’s complex handling of gender and the representation of women in Rembrandt’s painting. Although the methods used in this study originate outside the history of art, they demonstrate nonetheless the author’s sensitivity to the visual aspects of Rembrandt’s work. The works by Rembrandt gain in depth and interest, but an original perspective of the role of visuality in our culture also emerges, which ultimately has consequences for our views of gender, the artists, and the act of reading.